Our new trunk show is live! 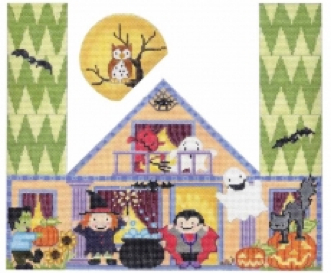 We’re so pleased to have CBK Needlepoint Collections in store and on our website through October 11. This show features over 12 different artists, with so many different canvases, there’s something for every needlepointer out there! To really kick off this trunk show, we’re going to feature a favorite canvas of the day on the blog. Anyone who has visited the Bristly Thistle store in person knows that we take Halloween very seriously. It’s no surprise that Michele immediately gravitated to this Halloween doorstop and picked it as the first canvas for our “Trunk Show Favorites” series. 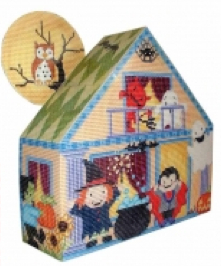 To find out more about this adorably ghoulish canvas click here.